The suite, located on the top floor is one of the highlights of the hotel. 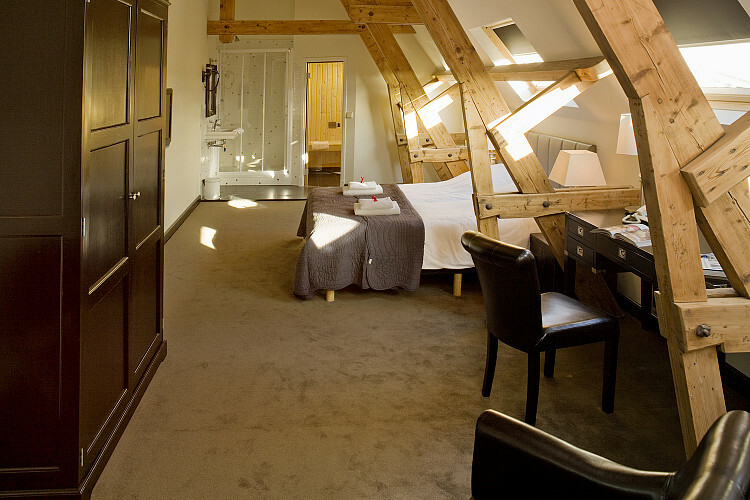 The room enjoys an excess of natural light from the large windows with a skyline view over the historical inner city of Alkmaar. This incredibly spacious room (40m2) includes a private sauna. These extra amenities, luxury finish and personal service makes for a unforgettable stay.